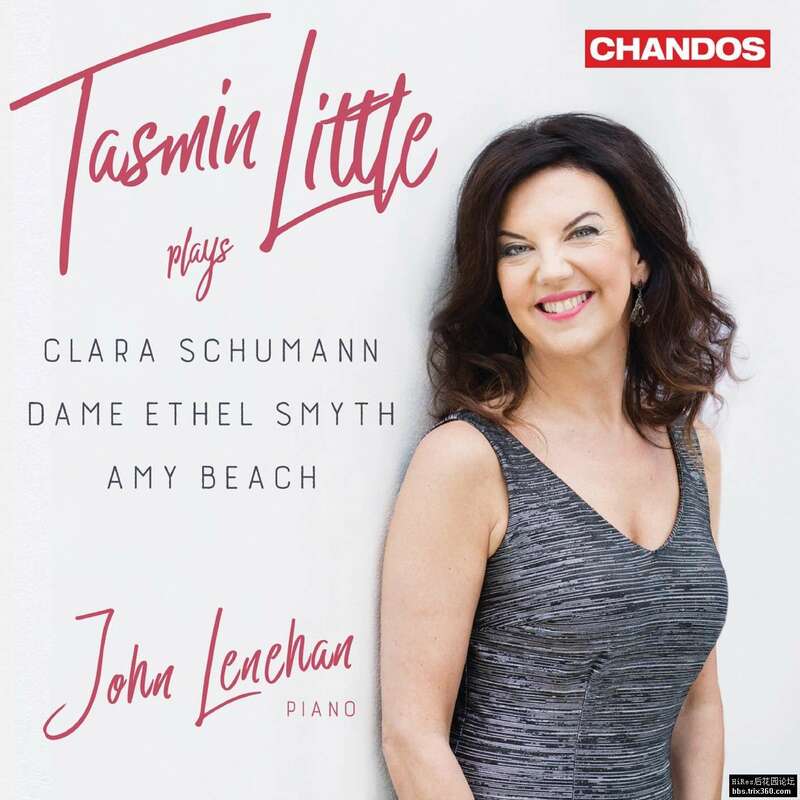 Renowned violinist Tasmin Little returns to Chandos with a line-up of three women composers whose lives share some features but also significant differences that illustrate the complex lives of female musicians. Clara Schumann, Dame Ethel Smyth and Amy Beach all came from families that encouraged their musical interests but balked, in varying degrees, at professional training and engagement. 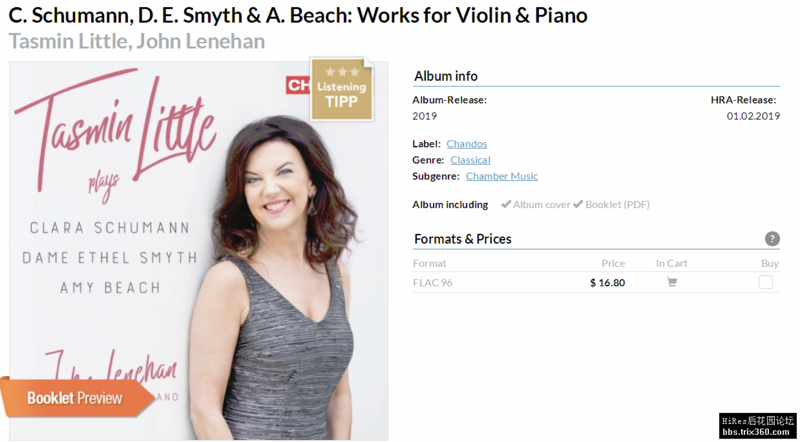 All three composers draw on the influence of Robert Schumann and Brahms; Beach and Smyth in particular were fond of metrical and motivic manipulation.